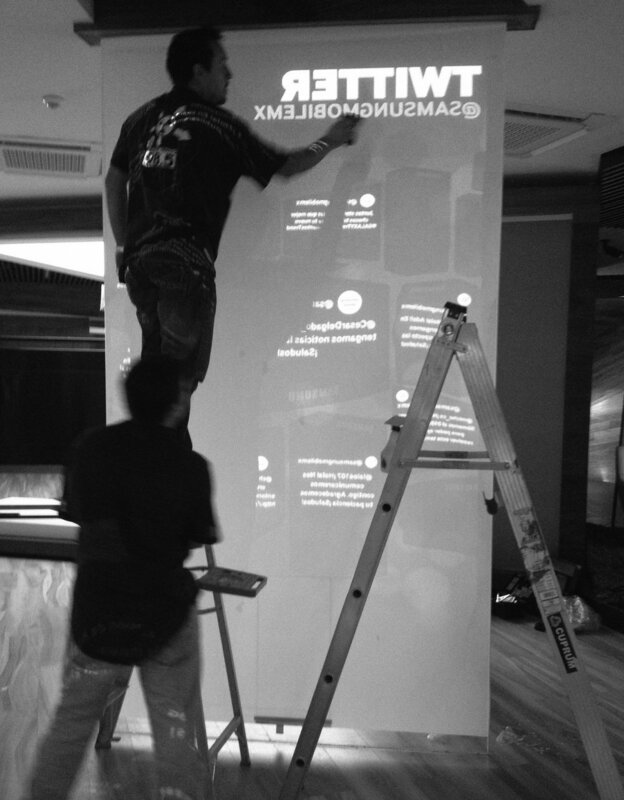 Our high end innovation expertise and cutting edge technology potential were challenged with this interactive consumer installation. The global brand and one of the biggest innovation players worldwide, Samsung, was behind this project. We provided Samsung a mind-blowing digital experience creating two touch-sensitive 10 feet tall, floor to ceiling interactive crystals. · Craft a compelling narrative experience to surprise and delight the showroom´s visitors with the brand´s history. · A multi-channel interactive installation to capture, and connect opinions from the brand´s followers twitter accounts. 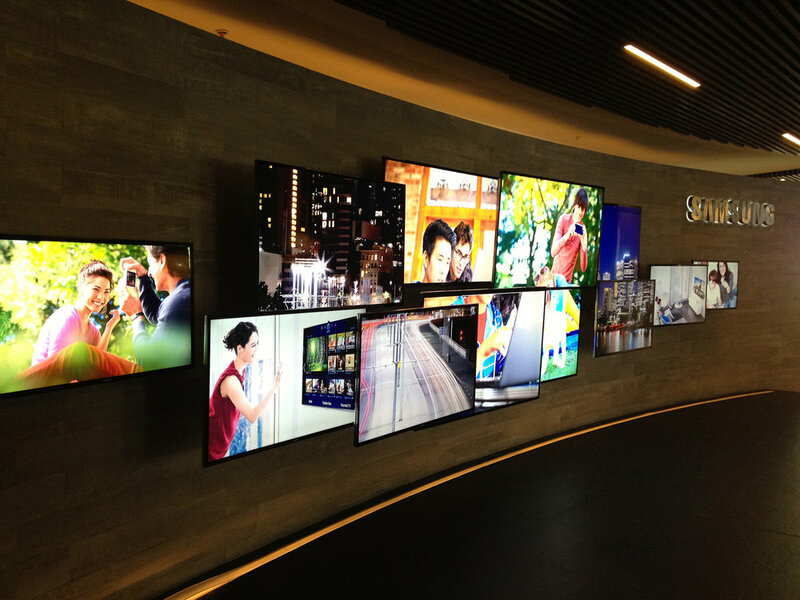 · Browse Samsung´s most innovative products´ information with high resolution images. 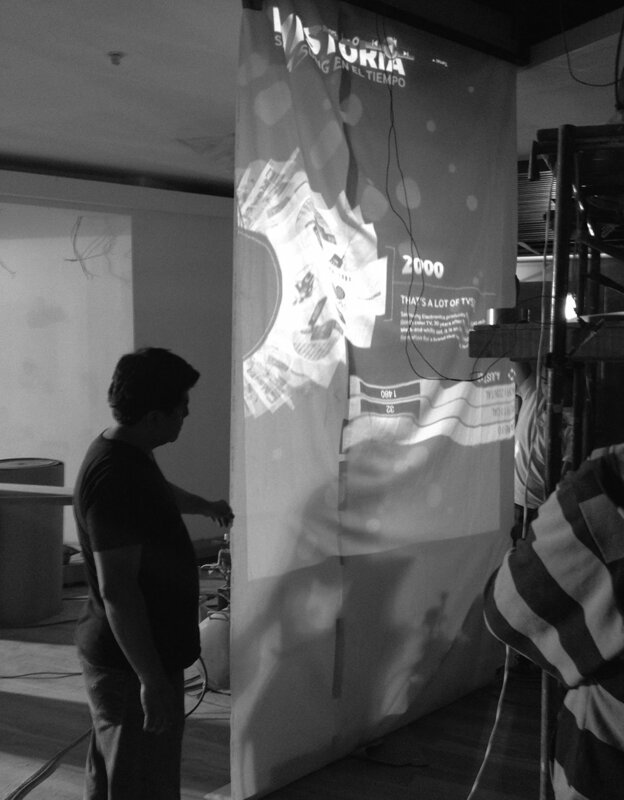 We faced and conquer many seemingly impossible technical challenges during the installation like the very short distance to project the 10 feet tall HD image, the day light ambient conditions that affected the projection solution and the interactive surface size we had to create to make this great experience come to live. 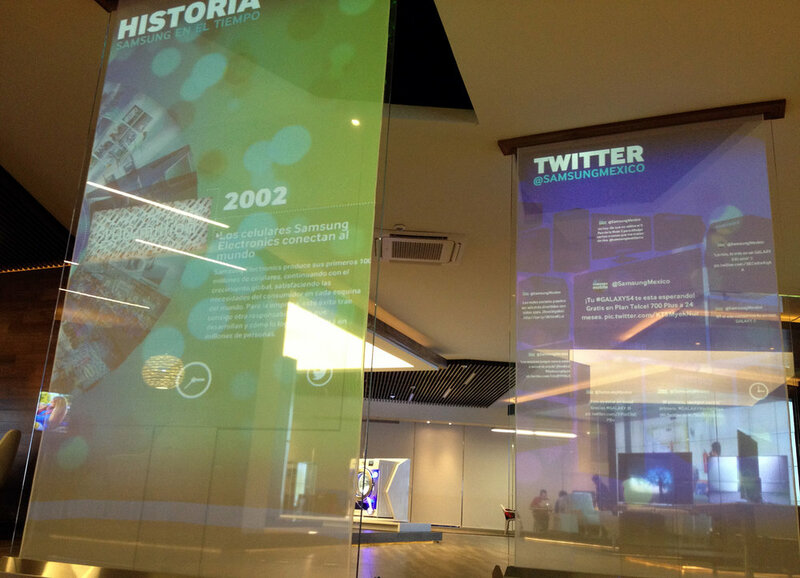 Finally, this awesome twin interactive crystal installation really creates an engaging and inspiring sense for the new Samsung Showroom in Mexico HeadQuarters. 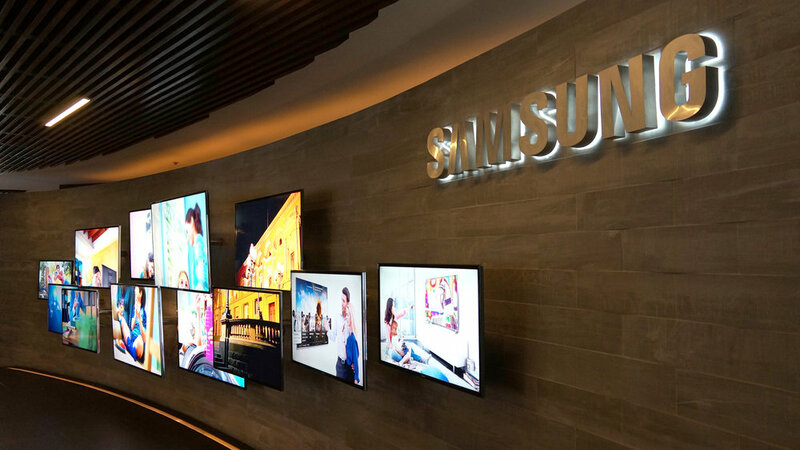 We were also assigned to create a video installation inside Samsung´s Mexico Showroom Forum, a new area where company press conferences and high executive announcements will take place. To accomplish this goal RANDOM provided an innovative application for a custom asymmetric video wall, looking to engage the audience with an immersive experience. This high end development involves electronic arts and interactive software that syncs twelve HDTV Samsung Displays and presents mosaic style inspiring brand content in several visual layers all in Full HD dynamically updated by a powerful custom content management system. Responsive dynamic visual content on the videowall interacts with the living ambient color lighting system in the forum area offering a more significant experience. RANDOM´s creative vision and technology provided Samsung Showroom visitors with a very successful experience that's both aesthetic and functional.